B'diavad (alternatively spelled bidiavad)- בדיעבד literally means "after the event", and in Latin "post factum" or "post facto" (I know no Latin grammar so I can't tell you the difference.) 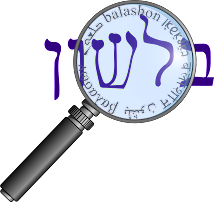 It generally refers to a situation where a less than ideal action has occurred, and there is a need for a halachic decision. A man proposes marriage to a woman. Woman: Look, you're an ok guy, but I'm quite lazy and I don't like housework. I'll marry you on condition that you provide me with a servant that will be at my beck and call, to perform all the housework and do my every wish. They marry, and when they arrive home the man introduces his bride to her new servant, who is quite well-mannered and courteous, but also happens to be 3 feet tall. Woman: You call that a slave? I've been deceived -- I want a divorce. They go to the rabbinical court, and the woman explains that her marriage was on false premises -- a mekach ta'ut -- and thus it is invalid. "Look, it's a little bitty eved, but the marriage is valid."